BY CLICKING THE “I AGREE” BUTTON ON THE YCS® GROUP WEBSITE (THE “YCS® WEBSITE”), YOU (THE “CUSTOMER”) AGREE THAT YOU HAVE READ, UNDERSTAND AND ACCEPT THE FOLLOWING TERMS AND CONDITIONS, AND YOU AGREE TO BE BOUND BY THESE TERMS AND CONDITIONS AND ALL TERMS AND POLICIES INCORPORATED BY REFERENCE HEREIN. THESE TERMS AND CONDITIONS CONSTITUTE A BINDING AGREEMENT BETWEEN CUSTOMER AND YCS® GROUP, LLC (“YCS®”) AND ARE HEREINAFTER REFERRED TO AS THE “AGREEMENT” BETWEEN CUSTOMER AND YCS®. IF CUSTOMER DOES NOT AGREE TO THIS AGREEMENT IN ANY RESPECT, CUSTOMER SHOULD NOT USE OR ACQUIRE THE PRODUCTS OR SERVICES OFFERED BY YCS® IN ANY WAY. PRODUCTS AND SERVICES ARE OFFERED TO CUSTOMER BY YCS® CONDITIONED UPON CUSTOMER’S ACCEPTANCE WITHOUT MODIFICATION OF THIS AGREEMENT. Customer desires to participate in YCS®’s iGiftback® App, and YCS® desires to allow Customer to participate in its iGiftback® App, on the terms and subject to the conditions set forth in this Agreement. Subject to the terms and conditions in this Agreement, in consideration of YCS® allowing Customer to participate in the iGiftback® App, (i) Customer agrees to permit YCS® to use Customer’s name, logo and other information provided by Customer to provide promotional and discount offers provided by participating merchants (“Merchant Offers”) to prospective purchasers using the iGiftback® App, and (ii) Customer agrees to make the iGiftback® App available to Customer’s members, donors, volunteers, subscribers and mailing list participants in connection with Customer’s fundraising activities, and (iii) YCS® agrees to offer Merchant Offers on the iGiftback® App to authorized users of the iGiftback® App. A. Customer-Supplied Materials: Within three (3) business days following the Effective Date of this Agreement (as defined in Section 4(A)), Customer shall provide YCS® with any written copy, photos, logos, videos and any other material (collectively, “Customer-Supplied Materials”) to be used in or in connection with Customer’s iGiftback® App account. YCS® reserves the right, in its sole discretion and for any reason, to refuse to use any Customer-Supplied Materials or to request that Customer submit additional or different Customer-Supplied Materials for YCS®’s review and approval and for possible use in connection with Customer’s iGiftback® App account. Customer shall be solely responsible for ensuring the accuracy and completeness of all Customer-Supplied Materials. i. Customer Fundraising Activities: Any fundraising activities which directly or indirectly utilize the iGiftback® App, Value Passes, and/or any other YCS® product or service, shall be done solely in the Customer’s name. ii. Purchase Price: Value Passes shall be sold to purchasers and end users (collectively, “End Users”) at a price to be determined by YCS® in its sole discretion (the “Purchase Price”). The Purchase Price of each Pass may vary depending upon the value, number and duration of the Merchant Offers included on a particular Pass, among other factors. Each Pass will clearly and conspicuously disclose its Purchase Price. iii. Expiration Date: Each Value Pass will carry a unique expiration date that will be determined by YCS® in its sole discretion. Each Value Pass will clearly and conspicuously disclose when that Pass expires, as well as any other material terms pertaining to the Pass. 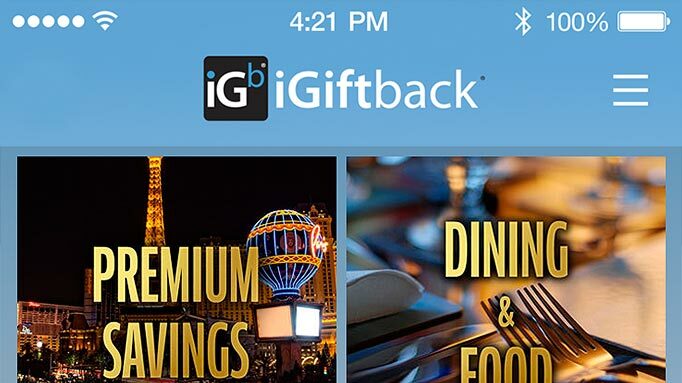 d. Customer will reference the iGiftback® App and Value Passes on Customer’s website and in any Customer online promotions in order to promote, advertise, market and support the Customer fundraising activities that use the iGiftback® App. For these purposes, YCS® hereby grants Customer a limited, non-exclusive, non-transferable right to use the YCS® and iGiftback® names and logos in such website and online promotions; provided that YCS® shall be given the opportunity to review and approve any proposed use of the YCS® and iGiftback® names and logos prior to any such use. C. Identification Code: Customer shall receive from YCS® its own unique identification number for its mobile application fundraising which will remain Customer’s unique identification number until this Agreement expires or is terminated. D. Modifications: Customer may not modify any Customer-Supplied Materials after they have been incorporated on a Pass that has been issued to any purchaser. If Customer desires to modify any Customer-Supplied Materials for Value Passes that have not yet been offered or issued to any purchaser, or if Customer desires to modify its iGiftback® App account, Customer shall provide written notice to YCS® of any proposed change to Customer’s iGiftback® App account and/or any Customer-Supplied Materials at least thirty (30) days prior to the date as of which the Customer proposes for the modifications to take effect. YCS® shall use reasonable efforts to modify Customer’s iGiftback® App account and/or Customer-Supplied Materials in accordance with such notice within thirty (30) days (or such longer period as may be specified by Customer) following YCS®’s receipt of such written notice. B. Payment: The Purchase Price shall be paid to and collected by YCS®. Following receipt of the Purchase Price, YCS® shall deduct the Transaction Fee and the applicable Application and Data Fee from the Purchase Price for each Value Pass, and YCS® shall pay the remainder of the Purchase Price to Customer by check or electronic funds transfer. YCS® shall review Customer’s account every thirty (30) days to determine the total amount then payable to Customer, and YCS® shall remit payment of that amount to Customer within thirty (30) days after that amount is so determined. If required by applicable law, YCS® shall withhold amounts necessary to pay applicable taxes and shall remit to the proper taxing authorities any and all taxes withheld from payments to Customer. C. Customer Dashboard: YCS® will provide Customer with access to a Customer dashboard, via the Customer portal to the YCS® Website, on which YCS® will report payments received for Value Passes sold via Customer’s iGiftback® App account and with which Customer can monitor activity using Customer’s iGiftback® App account. D. Collection and Late Fees: Prompt and timely payment by Customer of all amounts owing from Customer under this Agreement is a material and essential term of this Agreement. YCS® reserves the right to take appropriate action (including legal action) with respect to delinquent accounts. Customer shall be responsible for all court costs and legal fees incurred by YCS® to enforce this Agreement and/or to collect any payments from Customer that are tardy, late or not paid in full by Customer as agreed upon in this Agreement. Customer understands and agrees that Customer will be assessed and will pay a late fee of three percent (3%) per month on any amounts due under this Agreement that are unpaid and delinquent, in whole or in part, as of the time that they become due. A. The “Term” of this Agreement shall commence on the date that Customer enters into this Agreement by clicking the “I AGREE” tab on the YCS® Website (such date being the “Effective Date” of this Agreement) and shall continue for two (2) years thereafter, unless earlier terminated in accordance with this Agreement. B. Except as otherwise provided herein, either party may terminate this Agreement upon a material breach by the other party, if such breach remains uncured for thirty (30) days (or, in the case of a payment default by Customer, ten (10) days) following written notice to the breaching party. Upon such breach by Customer, YCS® reserves the right to suspend performance under this Agreement (including suspending Customer’s iGiftback® App account) until such time as Customer cures such breach. Customer acknowledges that the laws of some states may require Customer to register with state agencies or take other actions in order to enter into this Agreement and/or participate in fundraising activities and services using the iGiftback® App. Customer acknowledges and agrees that Customer shall be solely responsible for (i) determining whether any such registrations or actions must be taken, (ii) successfully completing any such registrations or actions required by any applicable state law, statute or regulation, and (iii) paying any registration fee or other amount that may be required by any applicable state law, statute or regulation. YCS® may assign any or all of its rights and obligations under this Agreement, in its sole discretion, to any affiliate, subcontractor or third-party. Customer shall not assign or attempt to transfer any of its rights or obligations to any third-party or subcontractor without the prior written consent of YCS®, and any purported or attempted assignment by Customer without YCS®’s prior written consent shall be null and void and of no effect. Customer hereby grants to YCS® a non-exclusive, royalty-free, worldwide, revocable license to use the Customer-Supplied Materials (including without limitation Customer’s name, logos, service marks, trademarks, menus and photos) and such other proprietary information or intellectual property that Customer may provide to YCS® from time to time to be used in connection with Customer’s iGiftback® App account. Customer warrants and represents that Customer has all legal rights necessary to grant YCS® the license set forth in this section. Customer acknowledges and agrees that YCS® shall have the right, at YCS®’s sole discretion, to refuse to publish, to remove, and/or to block access to any such Customer-Supplied Materials or other proprietary information or intellectual property that Customer provides to YCS®, at any time and for any reason, with or without notice to Customer. In consideration of the fees paid by Customer as set forth in Section 3 of this Agreement, YCS® grants to Customer a non-exclusive, revocable license to use YCS®’s iGiftback® App technology and Customer’s iGiftback® App account solely during the Term and while this Agreement is in force and effect; provided that Customer acknowledges and agrees that Customer shall acquire no rights whatsoever in any YCS® work product, know-how, product information or intellectual property concerning the iGiftback® App or in any YCS® Technology or Content (as defined below). A. All right, title and interest in and to the iGiftback® App, the infrastructure and source code used to provide the iGiftback® App, and all documentation and intellectual property rights therein and thereto are proprietary to, and shall remain at all times with, YCS®. Customer does not acquire any ownership of the iGiftback® App or any part thereof under this Agreement. YCS® reserves all rights not expressly granted to Customer under this Agreement. B. Except as set forth in this Agreement, Customer retains all rights to Customer-Supplied Materials and such other proprietary information or intellectual property of Customer that Customer may provide to YCS® from time to time. A. CUSTOMER INDEMNIFICATION: Customer agrees to indemnify, defend and hold harmless YCS®, its affiliated companies, and their respective employees, contractors, officers, directors, representatives, agents, partners, subsidiaries, and anyone involved in developing, creating or providing the iGiftback® App, the YCS® Website or any other YCS® website or mobile application (each a “YCS® Indemnified Party”) from and against any and all claims, demands, losses, causes of action, suits, liability, damages, fines, penalties, and all reasonable costs and expenses (including but not limited to attorney’s fees) (collectively, “Claims”), arising out of or related to any Customer-Supplied Materials or any other materials included in or made available via the iGiftback® App at the request of Customer. Customer further agrees to indemnify, defend and hold harmless YCS® and the other YCS® Indemnified Parties from and against any and all Claims arising out of or related to any fundraising activity of Customer, and any action, inaction or omission of Customer, any affiliate of Customer, any of their respective employees, contractors, officers, directors, representatives, agents, partners or subsidiaries, or anyone else acting for or on behalf of Customer (collectively, the “Customer Indemnifying Parties”) (including without limitation any failure by any Customer Indemnifying Party to comply with applicable law). (vi) Customer’s failure to complete any registration, report or other action, or to pay any fee or other amount, that may be required by any applicable state law, statute or regulation. B. YCS® INDEMNIFICATION: YCS® agrees to indemnify, defend and hold harmless Customer from and against any and all third-party Claims resulting from YCS®’s gross negligence or from any breach of this Agreement by YCS®. C. MECHANICS OF INDEMNIFICATION: The indemnifying party’s obligations are conditioned upon the indemnified party: (a) giving the indemnifying party prompt written notice of any Claim for which the indemnified party is seeking indemnification; (b) granting control of the defense and settlement of the Claim to the indemnifying party; and (c) reasonably cooperating with the indemnifying party at the indemnifying party’s expense. A. Customer agrees that YCS® shall at all times retain all of the right, title, and interest in and to all intellectual property, computer technology, mobile application technology, computer programs, software, and any other technology that YCS® designs, creates, builds or acquires under or in connection with this Agreement, as well as before, during and after this Agreement (collectively, “Technology”). Customer’s use of any YCS® Technology under this Agreement shall be deemed a non-exclusive license to use or benefit from said Technology while this Agreement is in effect, and such license shall terminate upon the expiration or termination of this Agreement. YCS® further retains all right, title and interest in and to any original artwork, photos, text, logos, or other similar media or content (collectively, “Content”) provided, designed, developed, prepared or created by YCS® for the iGiftback® App, including proofs, previews and any other materials created in the process of making the finished iGiftback® App. All Technology, Content, and any other materials designed, prepared, developed or created by or for YCS® under or in connection with this Agreement shall remain the sole and exclusive property of YCS®. B. Upon the expiration or termination of this Agreement, Customer shall return to YCS® all Technology and Content used in connection with the iGiftback® App. Customer shall return such Technology and Content to YCS® by bonded messenger, air freight, or registered mail within thirty (30) days following the expiration or termination of this Agreement. Customer agrees that Customer’s unauthorized use, retention, copying or transfer of any YCS® Technology, Content or other intellectual property will cause YCS® substantial and irreparable harm which cannot be adequately compensated by damages, and that YCS® shall thus be entitled to seek and receive injunctive and other equitable relief against Customer whether in the form of a temporary restraining order, preliminary injunction, permanent injunction, specific performance, or some other form. All of the original artwork, photos, text, logos, or other similar media or content provided by Customer shall remain the sole and exclusive property of Customer and shall be returned to Customer by bonded messenger, air freight, or registered mail within thirty (30) days following the expiration or termination of this Agreement. C. Upon the expiration or termination of this Agreement, Customer shall cease and desist from all direct and indirect use and/or possession of the iGiftback® App for any purpose. Customer acknowledges and agrees that Customer shall not use any Technology, Content, or intellectual property obtained, learned or acquired in connection with the development, acquisition or use of Customer’s iGiftback® App account in connection with Customer’s development of any other similar mobile application. A. Customer shall not distribute on or using the iGiftback® App, any YCS® website or mobile application, or any related media any content that: (a) infringes on the intellectual property rights of any third-party or any rights of publicity or privacy; (b) violates any law, statute, ordinance or regulation (including without limitation the laws and regulations governing export control, unfair competition, antidiscrimination or false advertising); (c) is defamatory, trade libelous, unlawfully threatening or unlawfully harassing; (d) is obscene, pornographic or indecent; or (e) contains any viruses, Trojan horses, worms, time bombs, or other computer programming routines that are intended to damage, detrimentally interfere with, surreptitiously intercept or expropriate any system, data or personal information. B. Customer covenants, represents and warrants that: (i) Customer is a charitable or not-for-profit organization or entity under the laws of the State of Missouri or the state or other jurisdiction under whose laws Customer is organized and within which Customer is located; and (ii) either (a) Customer is qualified and registered with the U.S. Internal Revenue Service as a not-for-profit organization or (b) Customer is a valid public or local governmental entity and is legally authorized to conduct charitable-purpose or public-purpose fundraising activities; and (iii) Customer’s board, directors, or members have authorized Customer to enter into and be bound by this Agreement. Customer’s confidential information includes any passwords used by Customer in connection with the iGiftback® App, any Customer-Supplied Materials that Customer designates as confidential, and any other materials of Customer that Customer designates as confidential. YCS®’s confidential information includes, but is not limited to, the source codes of any YCS® tools, all work product created, developed or provided by YCS® and documents related to such work product, any Content created, developed or provided by YCS® which YCS® designates as confidential, YCS® work product, know-how, product information and intellectual property concerning the iGiftback® App, YCS® Technology, and any other materials, data or information of YCS® that YCS® designates as confidential or that Customer should reasonably believe to be confidential. Customer and YCS® shall each hold the other party’s confidential information in confidence and shall not disclose such confidential information to third-parties without the other party’s prior written consent, nor use the other party’s confidential information for any purpose other than as necessary to perform its obligations under this Agreement. The foregoing restrictions on disclosure and use shall not apply to information which the recipient can document (a) is already known by the recipient, (b) becomes, through no act or fault of the recipient, publicly known, (c) is received by recipient from a third-party without restriction on disclosure or use, or (d) is independently developed by recipient without reference to the other party’s confidential information. A. TO THE MAXIMUM EXTENT PERMITTED BY APPLICABLE LAW, IN NO EVENT SHALL EITHER CUSTOMER OR YCS® BE LIABLE FOR ANY LOST REVENUES, PROFITS, DATA OR BUSINESS, OR SPECIAL, INDIRECT, INCIDENTAL, PUNITIVE, EXEMPLARY OR CONSEQUENTIAL DAMAGES OF ANY NATURE ARISING OUT OF OR IN CONNECTION WITH THIS AGREEMENT, WHETHER SUCH LIABILITY IS ASSERTED ON THE BASIS OF CONTRACT, TORT (INCLUDING NEGLIGENCE OR STRICT LIABILITY) OR OTHERWISE, AND WHETHER OR NOT THE POSSIBILITY OF SUCH DAMAGES IS FORESEEABLE OR CUSTOMER HAS PROVIDED YCS® WITH NOTICE OF THE POSSIBILITY OF SUCH DAMAGES OR LOSSES. B. YCS® DISCLAIMS ANY AND ALL LIABILITY FOR THE ACTS, OMISSIONS AND CONDUCT OF ANY THIRD-PARTY (INCLUDING WITHOUT LIMITATION APPLE, INC., GOOGLE INC. OR ANY OTHER OPERATING SYSTEM OR DATA PROVIDER) AND FOR ANY INJURY, HARM OR DAMAGES OF ANY KIND WHATSOEVER CAUSED BY, ARISING OUT OF OR RELATED TO ANY ACTS, OMISSIONS OR CONDUCT OF ANY SUCH THIRD-PARTY. C. THE TOTAL LIABILITY (IF ANY) OF YCS® TO CUSTOMER UNDER THIS AGREEMENT FOR ALL LOSSES SUFFERED BY CUSTOMER AND THE TOTAL LIABILITY (IF ANY) OF CUSTOMER TO YCS® UNDER THIS AGREEMENT FOR ALL LOSSES SUFFERED BY YCS®, IN EACH CASE WHETHER IN CONTRACT, TORT (INCLUDING NEGLIGENCE OR STRICT LIABILITY) OR OTHERWISE, SHALL NOT EXCEED THE ACTUAL AMOUNT OF FEES PAID, AND/OR THEN DUE AND PAYABLE, BY CUSTOMER TO YCS®. D. Some jurisdictions do not allow limitations of liability, so some or all of these limitations may not apply to you. YCS® EXPRESSLY DISCLAIMS ALL WARRANTIES AND/OR CONDITIONS OF ANY KIND, EXPRESS OR IMPLIED, INCLUDING WITHOUT LIMITATION THE IMPLIED WARRANTIES OF TITLE, NON-INFRINGEMENT, MERCHANTABILITY AND FITNESS FOR A PARTICULAR PURPOSE. ANY YCS® MOBILE APPLICATION (INCLUDING WITHOUT LIMITATION THE iGIFTBACK® APP), AND ANY PRODUCT OR SERVICE PROVIDED BY YCS® HEREUNDER, IS PROVIDED ON AN “AS IS” AND “AS AVAILABLE” BASIS. YCS® and Customer agree that this Agreement does not create a joint venture, partnership, agency, or employer-employee relationship between the parties. Neither party shall have authority to contract for or bind the other party in any manner whatsoever. If by reason of any failure of telecommunications or Internet service providers, labor disputes, riots, inability to obtain labor or materials, earthquake, fire or other action of the elements, natural or man-made disasters, acts of God, accidents, governmental restrictions or other causes beyond the control of YCS®, YCS® is unable to perform in whole or in part its obligations as set forth in this Agreement, then YCS® shall be relieved of those obligations to the extent it is so unable to perform and such inability to perform shall not make YCS® liable to Customer or any other third-party. This Agreement shall be governed by and construed in accordance with the laws of the State of Missouri without giving effect to principles of conflicts of laws. Customer and YCS® agree to submit to jurisdiction in Missouri and further agree that the federal and/or state courts situated in Clay County, Missouri shall have exclusive jurisdiction over any action or suit relating to or arising out of this Agreement. The parties mutually agree that they shall not raise, and hereby waive, any defense based upon venue, inconvenience of forum, or lack of personal jurisdiction in any action or suit relating to or arising out of this Agreement brought in accordance with this Section. YCS® and Customer shall cooperate with one another, both during and after the Term of this Agreement, in the procurement and maintenance by YCS® of all rights to all intellectual property created hereunder and in executing, when requested, any other documents or taking such other actions as may be necessary or appropriate to carry out the purposes of this Agreement. If any provision of this Agreement is held to be invalid or unenforceable for any reason, the remaining provisions will continue in full force and effect without being impaired or invalidated in any way. Customer and YCS® agree to replace any invalid provision with a valid provision which most closely approximates the intent and economic effect of the invalid provision. The waiver by either YCS® or Customer of a breach of any provision of this Agreement will not operate or be interpreted as a waiver of any other or subsequent breach. Any and all disputes between Customer and YCS® relating to or arising out of this Agreement, or promises or performances related thereto, that rise to the level of a lawsuit shall solely be resolved by a judge-tried, non-jury trial. THE PARTIES HEREBY WAIVE AND RELEASE ANY AND ALL RIGHTS TO TRIAL BY JURY WITH REGARD TO ANY AND ALL DISPUTES OR DISAGREEMENTS OR CAUSES OF ACTION ARISING BETWEEN CUSTOMER AND YCS® UNDER THIS AGREEMENT WHETHER FOR BREACH OF CONTRACT, TORT, NEGLIGENCE, STRICT LIABILITY, OR ANY OTHER CLAIM, OR ARISING FROM THE ACTS OR OMISSIONS OF CUSTOMER OR YCS® IN THE COURSE OF THE PERFORMANCE OF THIS AGREEMENT. This Agreement sets forth the entire understanding and agreement of Customer and YCS® and supersedes any and all oral or written agreements or understandings between Customer and YCS® as to the subject matter of this Agreement. This Agreement may be changed only by a writing signed by both parties. Neither party is relying upon any warranties, representations, assurances or inducements not expressly set forth herein. No person or entity other than the parties hereto and their respective successors and permitted assigns shall be entitled to bring any action to enforce any provision of this Agreement against either party. The parties acknowledge and agree that they have read, understood and actively negotiated the terms of this Agreement and that this Agreement shall not be deemed to be the product of either party nor enforced or interpreted more strictly against either party. By clicking the “I AGREE” button on the YCS® Website and entering into this Agreement over the Internet, Customer agrees that its electronic signature constitutes a valid authorization signature and accepts the terms and conditions set out in this Agreement.